I was catching up with a colleague of mine last week who I go WAY BACK with … we both got our start in visual process work at The Grove Consultants in San Francisco about 20 years ago (thank you David Sibbet). I got her laughing with a turn of phrase I used. 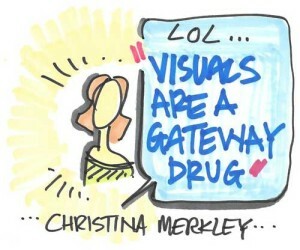 I told her that ‘visuals are a gateway drug’ in my little training and coaching company, SHIFT-IT Coach, Inc. The awesome visual skills are often the starting place for a much bigger unfoldment, that of light work. When I train people in the Fundamentals of Working Visually, a high percentage get opened up in other, often unanticipated ways too. Not unanticipated for me (as I’ve witnessed it repeatedly for many years now) but sometimes unanticipated for the person coming for the training … at least their left-brain. They think they are coming to learn how to work visually (and at one level they most definitely are) however, given the nature of what visuals is deeply about (authenticity, energy and light) something deeper often gets ignited in their training process too. Something that is very powerful, important and needed in our world today. Something I feel extremely aligned with that forms my personal mission. With the risk of coming across as a Pollyanna or zealot, I’m going to share why I love working visually so much, particularly when those visuals are hand drawn and created spontaneously in the moment. 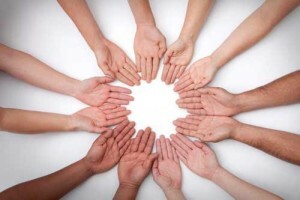 And when they are applied in the service of strategic planning, visioning and energetic healing. So much of our modern world is increasingly based in rigid, corralling, black and white technology that puts a lid on positive energy. We meet in boxy rooms in boxy buildings. With unnatural lighting and temperature controlled settings. We are run by time, and time is money. 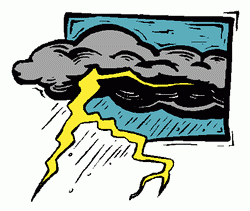 And the reasons we gather are often serious, weighty and full of pressure. And people often feel disempowered to make any sort of difference or impact on the status quo. But then in walks a good Graphic Facilitator tasked to do some strategic thinking (and strategic feeling!). And out pops paper (or whiteboards), colored pens, pastels and other magical instruments. And a space, in a matter of minutes, can get subtly or drastically transformed (depending on what the magician is going for and what her/his clients produce). Some real magic has the potential to occur — people shifting worlds. 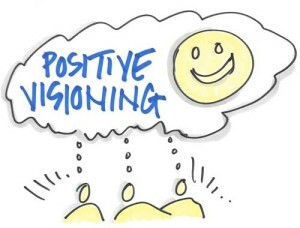 People busting out of unhealthy status quo in order to dream – in a positive way. And getting aligned to a higher, clearer frequency by consciously directing their focus. In short, good visual process work is actually good energy work underneath it all. It’s alchemical. It has the potential to change rooms and the people in those rooms for the better. To paint the picture of a brighter, healthier, more humane future. Something the world desperately needs right now. Working visually is still a ‘technology’. 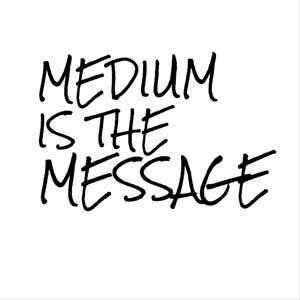 It’s a medium (the medium is the message ala Marshall McLuhan). Unfortunately, like any medium, it can be directed in the service of good or in the service of evil. I hate to get all Star Wars on you — but ultimately the method can be used for light or dark. Working visually is about extracting and communicating thoughts, feelings and messages. At its finest it’s about transparency, dialogue and hope. At its worse, it’s about manipulation, propaganda and fear. The old adage ‘the power of the pen’ is an adage for a reason. In this case, it’s the power of the marker (and color, icon, metaphor, etc.). Which thoughts and imagery we choose have the potential to create drastically different feelings and realities. The people who attend my trainings are typically lovely people who are attracted to a wonderful medium. 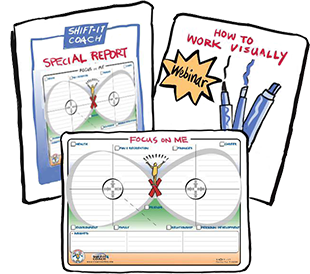 Many are in situations that they can instantly apply their newly minted visual skills (and they are off and running with doing good work in a visual way). However some of their cohort mates are currently in more challenging situations. For these folks, their attraction to the visual way of working is linked to a more complicated metamorphosis – shifting their lives. Some are stuck in stagnant positions where they feel they can’t be who they naturally are without attracting ridicule. Or are employed in left brain dominant industries where they feel visuals and other methods won’t be respected. Some (and I’m unfortunately hearing this more) live in areas where dark operations form the bulk of the local economy and that’s who employs them or others in their household. So their visual and other skills are in service of the military-industrial complex (i.e. The Borg). The SHIFT Is Upon Us: It’s Game Time! I personally think (and I’m far from alone on this) that we are at a critical juncture point in our evolution … a time that requires all of us to participate as brightly as we can so we get over the hump. Our military, scientific and financial technology is taking on such centralized power that our maturity as a species needs to rapidly develop in order to be responsible stewards. Wake up folks, all hands are needed on deck! So, if you are afraid to let your light shine where you are … I support you in trying it anyway. Go for it dammit. Often your worries are just that, your worries — and you will be pleasantly surprised by how people respond when you are brave enough to be yourself and let your markers or other innovative methods fly. If not, go elsewhere where you are better respected and appreciated. Ascending hubs do exist, find or build them! If you are one of those who are currently using your skills to beget dark agendas, please consider what you are doing. If you are a white hat consciously planted in a dark environment, all the power to you in changing the tide from within (that’s an honorable struggle). However if are there without any feeling of being able to impact positive change, I hope you will get out. You DO NOT need to support projects that don’t jive with your ethics and are a danger to humanity. 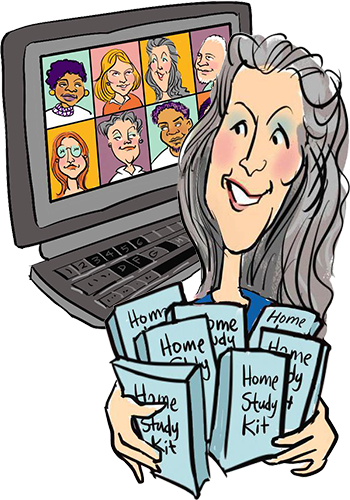 Please go through the challenging yet honorable process of making your SHIFT … for your own benefit and for the benefit of us all. Leave the borg and join the light!